Another new bridge is placed at the Amsterdamse Bos. 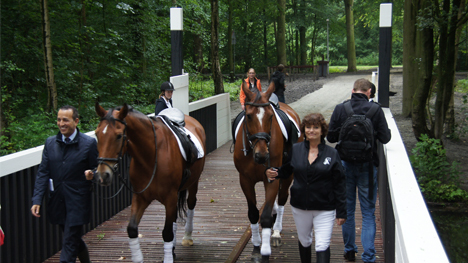 The bridge connects Manege Nieuw Amstelland with the surrounding forrest and has a striking design, just as its many predecessors of architect Piet Kramer. The wooden bridge will be used by pedestrians, cyclists ánd riders.